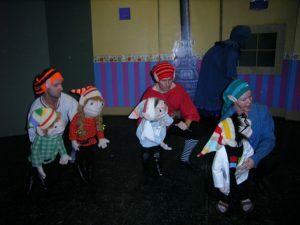 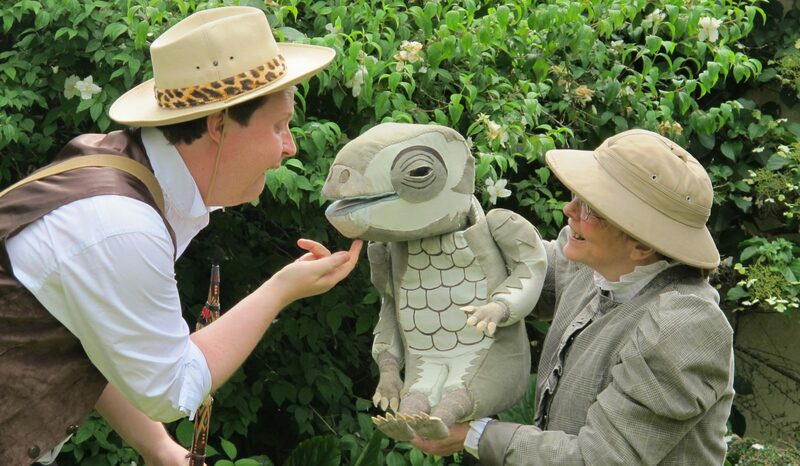 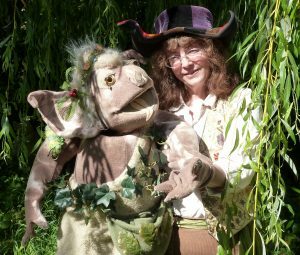 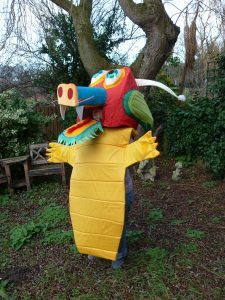 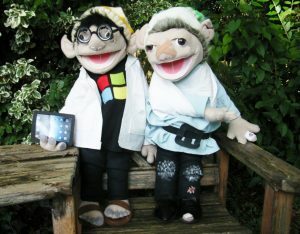 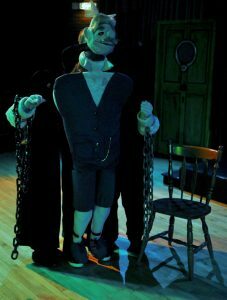 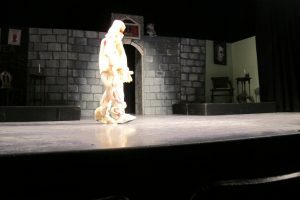 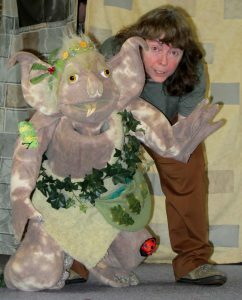 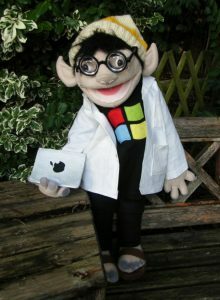 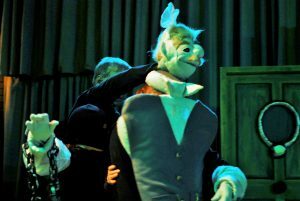 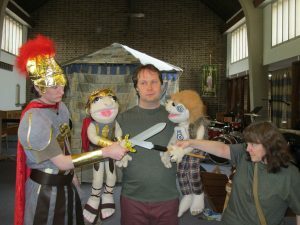 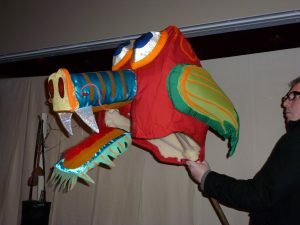 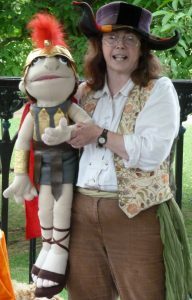 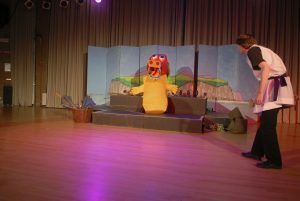 Occasionally I get asked to build puppets for other theatre companies and amateur groups. 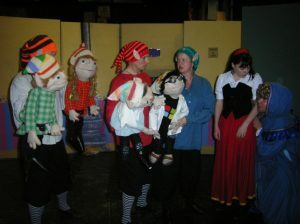 Some of these are shown below. 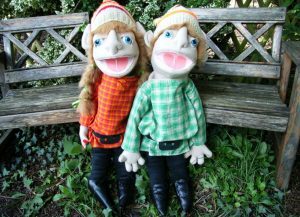 A set of four dwarf puppets built for Bitesize Theatre’s productions of Snow White a few years ago….actually, I built them two sets…in eight weeks….it was exhausting. 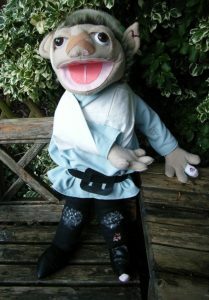 If I was awake, I was sewing! 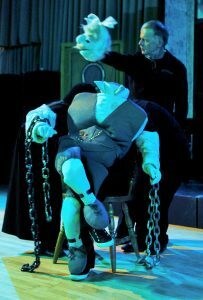 This required four operators and the head arms and body to separate into different parts of the stage. 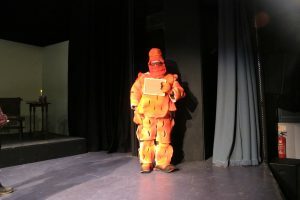 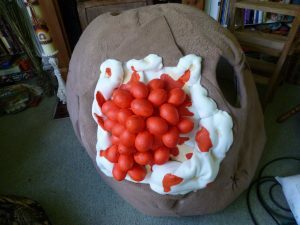 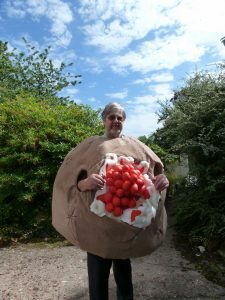 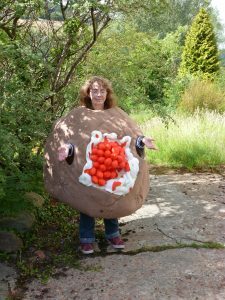 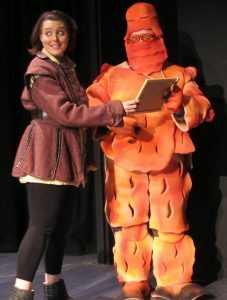 One last make – a baked potato costume to be used in a film series that my nephew, Adam Smith of Hidden Art Films, was making.